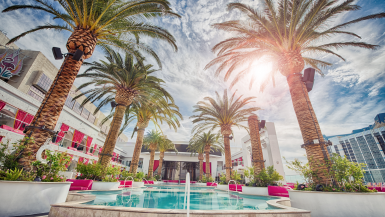 Living a convenient four-hour drive from Vegas, I’ve had the opportunity to visit Sin City on a frequent basis, tasting new restaurants, exploring the latest remodeled hotel rooms, and my favorite: seeing the latest entertainment performances. 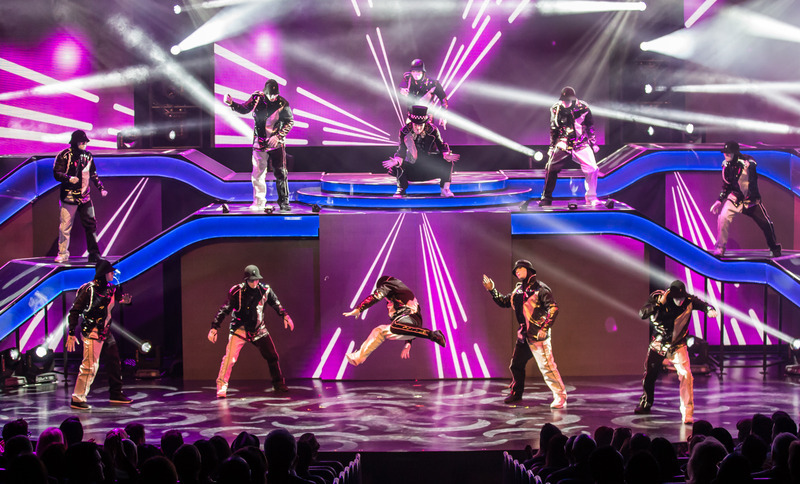 There’s always something new and exciting happening on the Strip but in getting caught up with whose in town for one night only, and other limited time engagements, I completely overlooked one of the most well-received shows in Vegas: the JabbaWockeeZ. 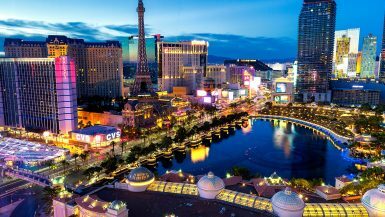 The first and only dance crew to headline a show in Las Vegas, the JabbaWockeeZ have successfully spent time performing at both MGM Grand and Monte Carlo, before setting up residency at Luxor Hotel & Casino for their show PRiSM. Housing a brand new 850-seat theater custom designed for their show, PRiSM is designed to provide the perfect balance of mixing audience demand with an intimate show, reflecting the human aspect of street performances with their capabilities of taking on large-stage arenas. Whether you’re well-rehearsed in the world of street performances, or a complete dance newbie, there’s something for everyone at PRiSM. Speaking on the novice side, I never tuned in to America’s Best Dance Crew on MTV where they were both featured and the winner’s of season one. Even with 70 million views on Youtube, they never made their way onto my newsfeed or suggested videos to check out. However, with almost no understanding of who the JabbaWockeeZ were other than seeing their posters at Luxor, I was mesmerized throughout the entire show along with everyone ages 5 to 65+ sitting around me. There were laughs, gasps, cheering, and applauding in an overwhelmingly audience-friendly show that will make fans of first timers while pleasing all of their long-time supporters. 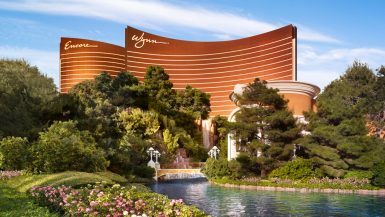 The show begins with Gene Wilder’s “Willy Wonka” song “Pure Imagination,” introducing the audience to a half-white half-black JabbaWockeeZ dazzling with a top hat and checkered suit, as he interacts with the pyramid of colors from the country side to high-rise city scenes. It’s an intricate introduction that’s only further outdone by having the backdrop rise to bring out the full cast, similarly in half-white half-black tracksuits as they transition into a hip hop number showing off their dancing skills and raising the energy of the room. 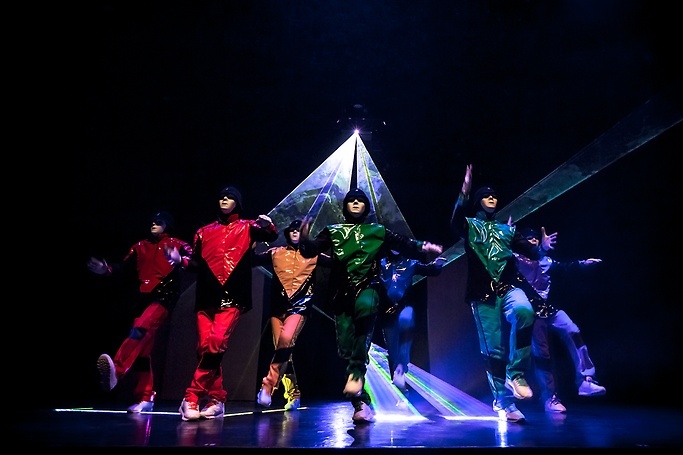 While all of the performers wear white masks to maintain the audiences’ focus towards their routines as a group instead of individual personas, through a mix of miming, modern dance and physical theater, they’re effortlessly able to combine the three to create a music-driven story of how everyone needs to work together to have balance and harmony. The story is easy to comprehend, teaching yin-and-yang; how apparently opposite or contrary forces are actually complementary, interconnected and interdependent in the natural world, and how they give rise to each other as they interrelate to one another. 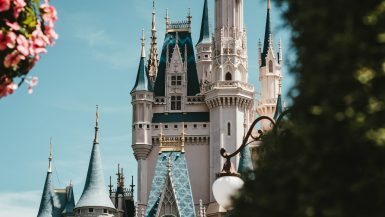 By showing that these complimentary forces can interact to form a dynamic system in which the whole is greater than the assembled parts, the group goes through a world of color, nightmares, ninjas, and even Mario Brothers, to reconnect white and black together for a truly outstanding journey that’s entertaining and awe-inspiring to watch. Throughout the 90 minute performance, the JabbaWockeeZ make sure there’s something for everyone. There’s street dancing, comedy, guest interaction, dance-offs, and of course the positive story line that keeps the entire show light-hearted and fun. For our 9:30 pm show, it was hard not to have a good time, when there’s fart jokes, booty slapping, and all around innocent fun that the kids loved and put a smile on the faces of adult audience members. 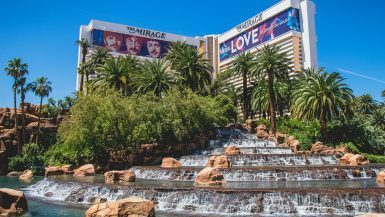 All too often Vegas finds itself more on the Sin City side, aiming to make shows as extreme and profane as possible, but here, you can get a breathe of fresh air and simply enjoy a show that’s entertaining for all the right reasons. Playing five nights a week, Thursday-Mondays, PRiSM is an irresistibly positive show that will leave you feeling happy and ready to dance. Whether you’re visiting Vegas with your family, significant other or friends, if you’re looking for a show to see, I highly suggest looking into the JabbaWockeeZ. 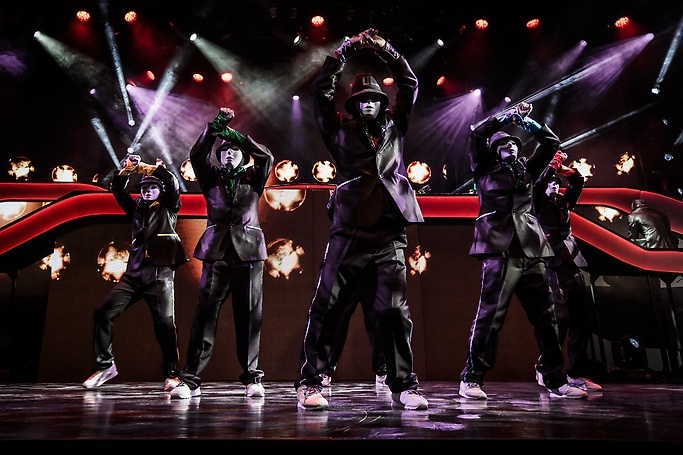 For more information on the JabbaWockeeZ including show times, availability and directions you can visit their website at the Luxor here.